If what you looking for is a classic, stylish, and durable handbag and Shoes to Match? 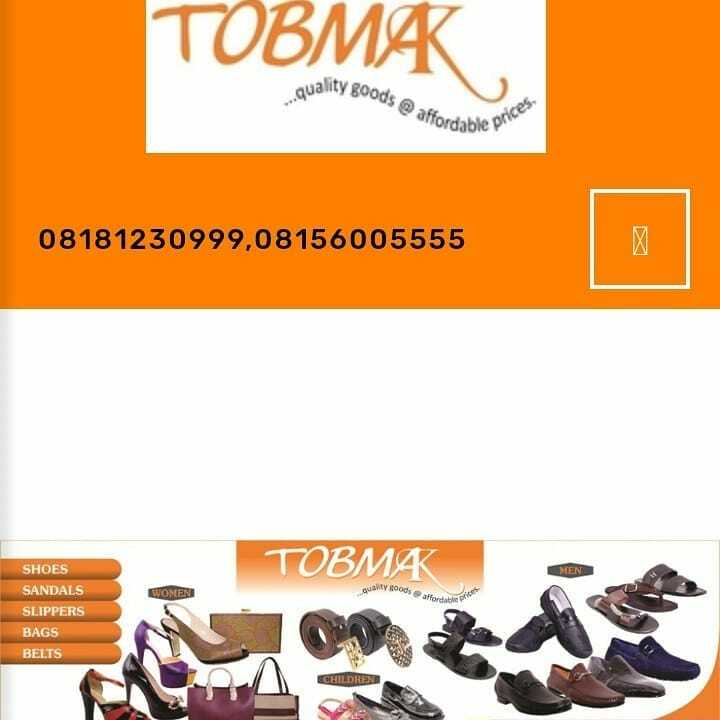 Look no further than Tobmak Collections for that genuine leather shoes and bags. Leather can be costly, good-quality and can keep their shape for years if properly taken care of. Proper care prevents the leather from drying out and cracking, and it protects it from excessive moisture that can cause the skin to swell or mildew. This TobmakTips will provide you with guides to ensure your investment will last and you will have a soft, reliable leather bag/shoe intact for years. 1– Make sure you always hold or handle your leather bags/shoes with clean hands. Leather bags/shoes are susceptible to absorbing grease and oils. Wipe the surface of a leather tote with a damp white cotton cloth, but be careful not to use too much water, because leather takes time to dry. 2– Always Remove stains the moment you notice them. Organic stains from food or blood can often be removed with chalk powder. Crush white chalk, let it sit on the stain overnight and dust it off with a clean cloth in the morning. 3– Stuff the unused bag/shoe with bubble wrap to restore and hold its shape. The perfect place to Store your leather purse is in a dust bag or natural-fabric pillowcase. You can wrap the chrome or metallic parts [ chain handle, for example — in clean, acid-free tissue paper]. If you’ve just cleaned the bag, allow it to air dry completely before storage. If you’re storing long-term, ease open the buckles and straps so impressions are released. This helps to avoid rubbing or permanent creases in unwanted areas. 4– Double check the manufacturer’s suggestions for other cleaning solutions. Sometimes, a clean pink eraser can remove small spots from leather totes. So we suggest you Clean suede bags with a suede brush. 5– Think about using a leather-specific protective spray for brushed or finished leather if you use your bag/shoe frequently. Test the product first in an inconspicuous area to see if the finish darkens. Keep cosmetics inside a pouch. Cap all pens/biros and anything that leaks. Get a small pencil case to protect the leather and keep small items from spilling or damaging the fabric. A– Avoid cleaning products with alcohol, turpentine or other mineral spirits as they will discolor and dry out leather. B– Never allow water to soak into your bag. If the bag gets wet, do not use a hair dryer on it. Instead, absorb as much water as possible with a thick microfiber hand towel and allow the bag to air dry. Then, condition it again and store it. C– Take extra special care of your bag at hair salons and keep it away from coloring solutions, hair sprays and other hair products. D– Waxes or silicone products clog up leather pores and may render them unable to be cleaned in the future. Thank you for taking your time out to read these tips, we hope it will be useful, and that you will adhere to the rules so as to maintain your expensive leather bag/shoe. You can visit our website at www.tobmak.com or you can as well Shop with us at Tobmak Collections; Shop E276, Road2, Ikota Shopping Complex, VGC Ajah Lagos, Nigeria. Or call 08181230999 to order online.